Razor-sharp teeth quickly shave wood and leave a smooth edge without clogging or heat buildup. 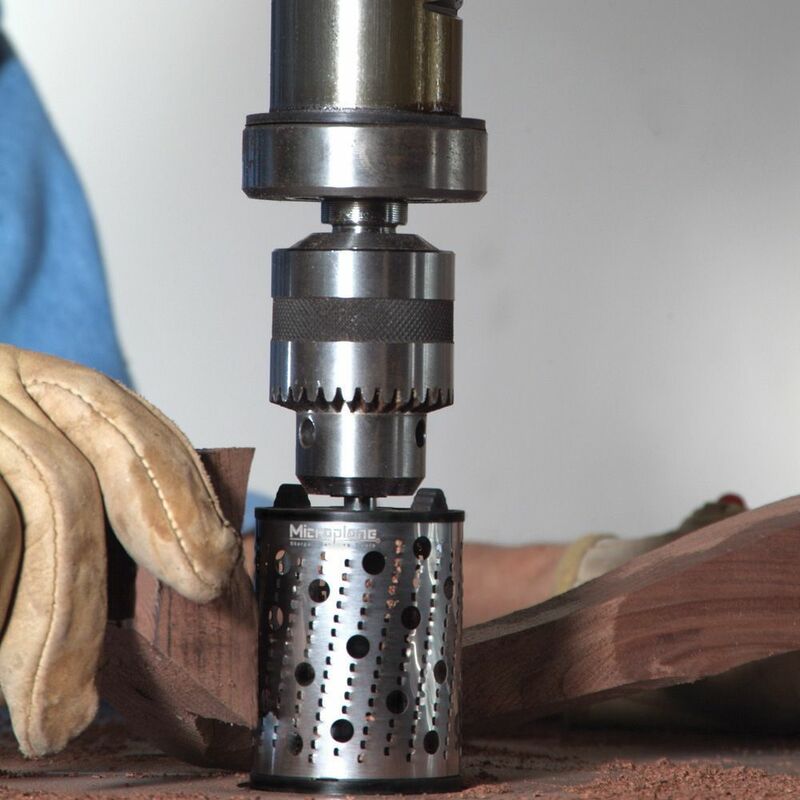 Rotary shapers have razor-sharp teeth that quickly shave wood without clogging or heat buildup. Materials being fed into the shaper should be fed left of center to reduce kickback. Always wear safety goggles and gloves. Great product. Exactly as advertised. Removed wood fast and smooth. Almost no need to sand. I received the 2 inch rotery shaper promptly. I used it to plane some molds for casting fiberglass shapes. I mounted it in a hand drill and it quickly reduced and shaped plywood circles made from glued together plywood. And it left smooth surfaces. I'm very pleased with the ease of shaping and smoothing even in the hands of a novice like me. I have used the 2 inch shaper to help roughshape guitar necks. 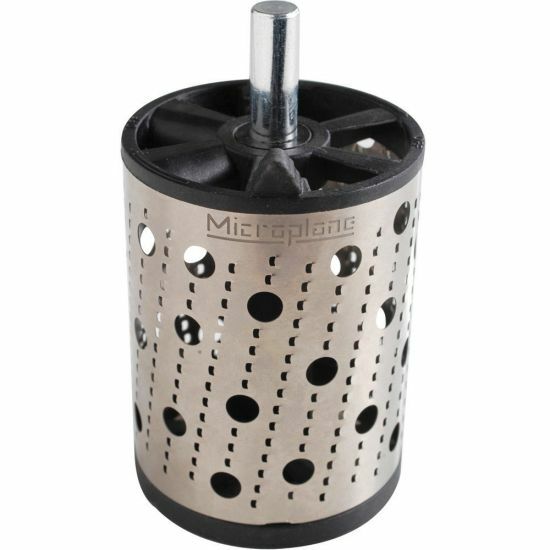 It does a very good job; it handles smoothly, takes off enough wood to be useful but not so much that its risky to use for this application. I'll be using it for guitar necks extensively in the future. Making a rocking chair for my brother's first grandson. His daughter wanted an elephant head in the front so I had to shape it and rotary shaper work wonders. I would still been at it if I hadn't used it. 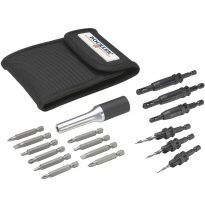 I was especially pleased with this product when used in combination with the 25 piece Rubber Drum Sanding Set and my drill press. The time needed to precision shape and sand various radii or curves is dramatically reduced. The prices of both products seems reasonable when considering the many uses I will find for both. 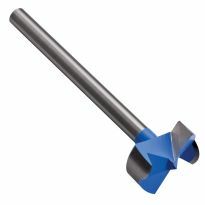 This little jewel made my shaping jobs so much easier and faster,just mount it to your drillpress and have fun shaping just about any project. This gadget worked great in my drill press to put a nice radius on flat stock to match a 1-1/8&quot; round. No splitting of wood and no need to sand. Worked perfectly! These work very well with the grain but do not work cross grain. The microplane made quick work of my cedar wine rack. I cleaned the circular inserts for the bottles and planed the outside for staining. It is still in great shape for the next project and I bought a spare for many more to come. Thank you Rockler. using on high speed on my 1950's drill press produces rapid, easy and nice results. My first project was 2 horses 14" long x 9" high. A wonderful piece of equipment! The hoses will be hitched to my 25" long all wood covered wagon. 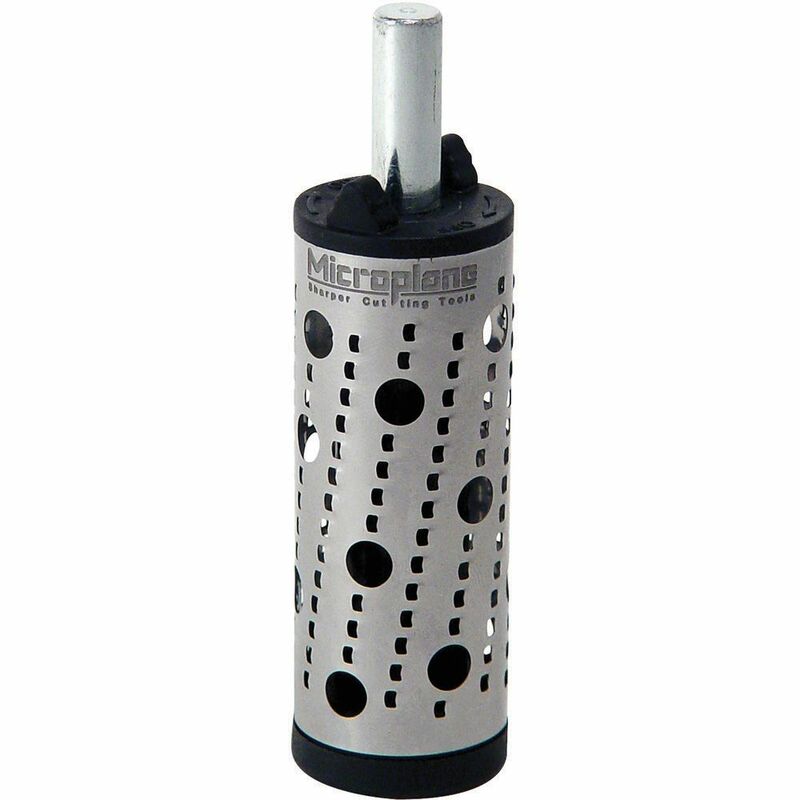 The Microplane works well in the drill press where it is held stationary and you feed the work into the tool. 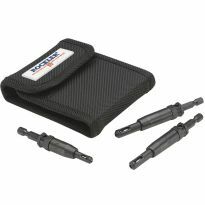 For safety hold smaller work items securely in a clamp. 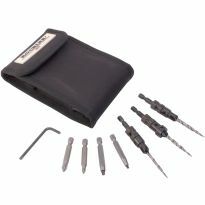 I found it much more difficult to use these shapers in a portable drill to carve a large the stationary work piece. The shaping drum jumps all over the place when feeding work from the left as directed. Setting the optimal RPM is a important for best results. Doesn't work at all. 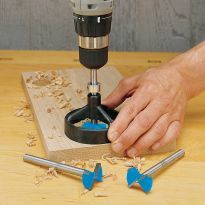 I purchased a set of drum sanders which worked very well. Save your money and pass on this product. Had one and used it quite a bit but it needs replaced. I made a mistake. I thought it would be good to create an indent in a chair bottom but it isn't good for that. Accidentally bought a replacement blade several years ago and finally decided to get the rest of the parts so I could give it a try. needed a better one then I had.